Daily Spirit & Word: 754: How To LIVE in Kingdom Power. 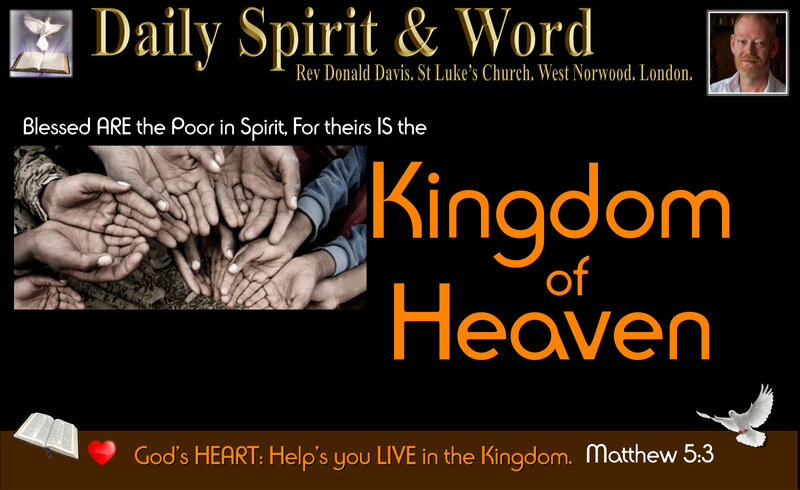 Recognising our ‘spiritual’ poverty is Key to unlocking the Kingdom of Heaven. Good morning my friends, I can honestly say, “Yesterday was AWESOME”. It really was, because we had an amazing time of worship, followed by the Community Feast and time at the British Home. God’s power and presence were evident, but this morning the LORD has taken me back, back to KNOWING that without Him I can’t do anything of value for the Kingdom of Heaven. I can’t even walk an inch without the Spirit of God and feel it’s of any value. This verse has been wrongly interpreted to mean those who are POOR: i.e. the poor people in this world. That is not what this verse is talking about, it’s all about Spiritual Poverty. That “Blessed are” is not something that might be, it’s not something that could be, that blessedness is something which every truly born again Believer and follower of Jesus has… YOURS IS THE KINGDOM OF HEAVEN. i.e. You are BLESSED when you recognise your Spiritual POVERTY without Christ or the Holy Spirit’s indwelling. We cannot be “Blessed are the poor in Spirit” unless we can see that without Holy Spirit we are really poor. Picture the poor beggars hands, holding palms upwards towards Heaven: That’s how we need to be in our hearts with God, desiring the fullness of Holy Spirit. However, He’s longing to give us what we need. Why Do We NEED Holy SPIRIT? Because to become “Blessed are the poor in Spirit”, we must first recognise our POVERTY without the Spirit of God. Also we must come to realise that we NEED the Holy Spirit all the time or we will be weak, without guidance, powerless to do anything of value in the Kingdom and foolish. We are POOR naturally: The man without the Spirit cannot see OR accept the things of God. We are POOR in our natural state as a human being: Because without the SPIRIT we can’t understand the things of God. We really do have a choice as Disciples of Jesus Christ; we can walk in the Spirit or we can walk in the Flesh. However, when we choose to walk in the flesh, there are dire consequences; DEATH. It’s an experience as though we are dead to the Spiritual realm. We must remember that Paul’s letter is written to Believers, Christians and Followers of Jesus Christ; they had already been ‘born of the Spirit’, but they were living like people who didn’t. They were walking in the power of the Flesh rather than the power of the Spirit and for me the warning comes home, “Donald, you can do that too”… At any moment in time, a true follower of Jesus can walk either in the flesh (human reasoning, desires, feelings, fears, thoughts and imaginations) or we can walk in the power and presence of the Holy Spirit. Let’s look at what a walk in the flesh feels like: Romans 7. Condemned (Feeling Condemned / Death). 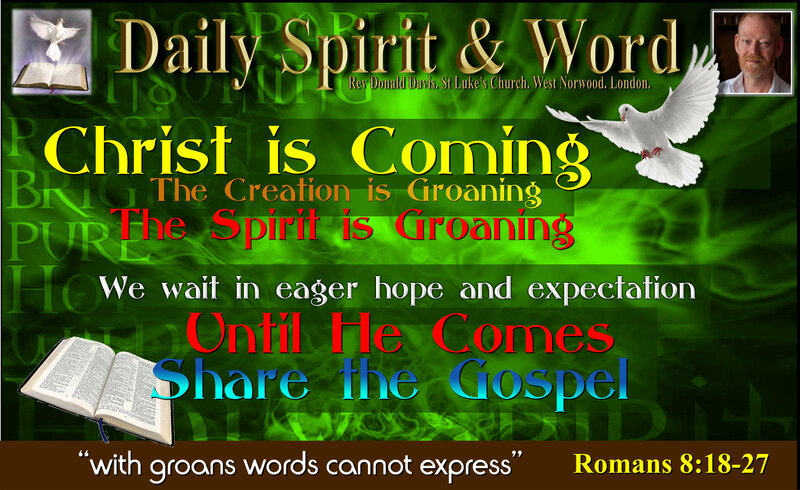 Let’s look at what a walk inthe Spirit feels like: Romans 8. No Condemnation (Feeling Alive / Life). Which WALK will you choose today? Almost as soon as we begin walking in the flesh the things of God become foolishness all over again. We won’t want; fellowship, Bible study, prayer, evangelism, teaching of the Apostles (Matthew, Mark, Luke, John, Acts or Romans) or serving Jesus. When we walk in the flesh we will be fleshly. So my friends, can you see why Jesus, as part of His repeated and often told teachings, which are summarised for us in the Sermon on the Mount, would emphasise this in His major teaching that we call; “The Sermon on the Mount”? For without the Holy Spirit nobody can; know, understand, experience, feel, yield, surrender or love God… Our “Blessedness” comes from the fact that we’ve been drawn to faith and trust in Jesus by the Holy Spirit. It comes from that fact that once we begin to come to Him, we realise that we NEED His forgiveness, we understand that without Him (Holy Spirit) we are just like everyone else in this world. So we truly are blessed when we recognise our need of God and our POVERTY of Spirit. Why? Because when we KNOW how poor in Spirit we are without God the Holy Spirit’s indwelling, then we will have entered The Kingdom of Heaven. Is not something that happens when we die, it’s our PRESENT CONDITION once we’ve realised our NEED of Holy Spirit. I hope you can see this, for this teaching in KEY to walking with Jesus, without the Holy Spirit, we’re just walking or trying to live the Christian life in the power of our flesh or human strength and capacity. 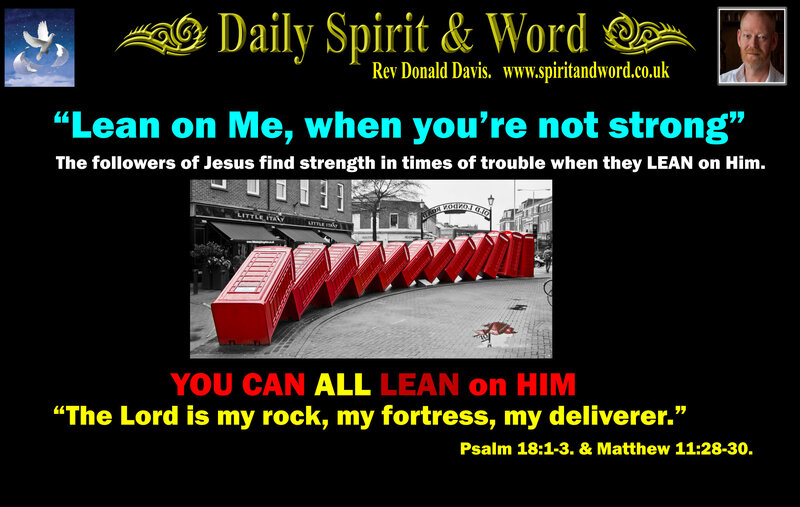 With the Holy Spirit we very soon realise that we just can’t do it, we are powerless to do anything. Jesus didn’t just say this once or in one way: It’s the ESSENCE of all of Jesus teaching to His Disciples. When Jesus was tempted in the wilderness in Luke’s Gospel we read, “He was led by the Spirit into the wilderness” after the temptation of Jesus, “He came out of the wilderness ‘full of the Holy Spirit’… Jesus was showing that to even win just one battle every follower needs to be FULL OF THE HOLY SPIRIT. The Kingdom of Heaven is yours today, if you’ve come to recognise your poverty without the Holy Spirit. You are in the Kingdom of Heaven NOW if you’ve got Holy Spirit indwelling. How Jesus Walked and Lived by and in the POWER of the HOLY SPIRIT. The Holy Spirit came upon Jesus at His own baptism. Matthew 3:13-17. The Holy Spirit came upon Jesus at His temptation. Matthew 4:1 and Luke 4:1. Jesus in those hours upon the Cross, the hours of Darkness between the sixth hour and the ninth hour, He knew the presence of God the Father had gone, the Holy Spirit had at that moment in time had departed Jesus: The Bible tells us “He became SIN for us”… God hates SIN and cannot bear it in His presence… SIN must die, that’s why Jesus died upon the Cross. 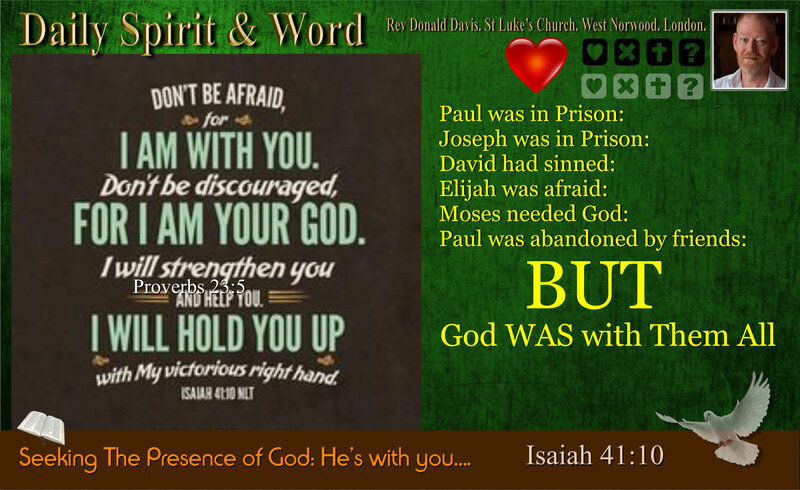 He took our sins upon Himself and was “FORSAKEN” by God the Father and the Spirit. Sin brings DEATH to our relationship with God. When we walk in the flesh, there is a kind of DEATH feeling that we experience and even as Christians, we can be overcome with a feeling of DREAD. But that’s NOT what the LORD wants my friends, He wants you to experience the full and abundant life, feeling the JOY of the LORD, we’ll get that feeling when we’re walking in the Spirit. So my friends, the moment we become aware of our NEED (Poverty) of Spirit, then YOURS IS THE KINGDOM OF HEAVEN. i.e. You are in the Kingdom of Heaven: you’ve become a Citizen of Heaven. From the time I began following Jesus, there have been times when I’ve been POVERTY STRICKEN (Spiritually and Materially). The times I’ve been poverty stricken spiritually, is when I’ve purposefully walked in my flesh instead of in the Spirit. Oh this is wonderful, for the moment you are in Holy Spirit, your Citizenship has been transferred into the Kingdom of Heaven. The Holy Spirit is your PASSPORT into the Kingdom. There are so many times that I’ve found myself walking in the FLESH (Human power and reasoning) rather than the SPIRIT (Holy Spirit empowered walking). However, when I’ve later realised that I’ve been doing it in my own strength, I’m so thankful, because the Spirit has led me to repentance and to seek His fullness once again. I can walk either as a Citizen of Heaven, The Kingdom of Heaven or as an ordinary Human being, a Citizen of Earth. There will be times that you too will recognise you’ve been doing it in your own strength and in your own understanding. We’ve got a choice to make every single day: I can live my life in the Spirit or in the Flesh. Just because you’ve been born of the Spirit, doesn’t mean you are as full of the Holy Spirit as you can be. There’s always MORE: We need more, we need to be re-filled, refuelled, just like a car that needs to be constantly filled up with petrol, we need to keep going back to the Lord and seeking His fullness again. 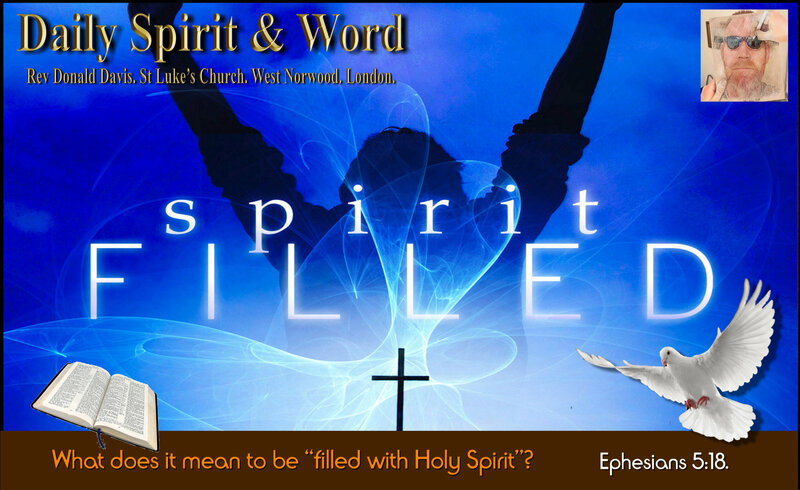 “Instead, be filled with the Spirit”: This ‘filling’ of the Spirit is not a ONE OFF event, but an ongoing reality. We are to go on being filled with the Spirit, i.e. all of the time. Once I held up a sponge that I’d soaked in water, the moment you lift it out of the water, the water pours out of the sponge. So it is with the Spirit, we are to be continually immersed in the Spirit, because the moment we stop being in the Spirit, we’re drained of Holy Spirit power, presence, we’re walking in the flesh. So can you now see the prime focus of Jesus’ teaching throughout the four Gospels: We NEED the Holy Spirit to do anything of value in the Kingdom, without the Holy Spirit we are POOR (in poverty)… But as soon as we become aware of just how much we need Him; oh how blessed we are. Prayer: Oh LORD Jesus Christ, I realise that without the Holy Spirit, I’m in POVERTY, because I’m walking in the power of my flesh. Please LORD Jesus, send the Holy Spirit afresh into my being today, fill me to overflowing with Your Holy Spirit, I need You Lord. I realise that without You I can’t do anthing of value in the Kingdom, but with you I am in the Kingdom. Help me this day, to walk in the power of the Holy Spirit and to stay full of Holy Spirit. When I am weak help me to recognise that it’s because I am not as full as I should be or could be. Amen. Have an awesome week in Jesus and full of Holy Spirit. Amen.